The complex Abbey of St. Maria de Olearia represented, in the Middle Ages of Maiori, one of the biggest and more Important ecclesiastical sediments, especially thanks to numerous appearances on the territory of monasteries. Its foundation dates back to the first archbishop of Amalfi, Leone, granting to Peter, a hermit monac looking for peace and solitude, to edify the church of Santa Maria dell’Olearia in the place where occurred the processing of oil. At first it was Benedictine Abbey and then it was called ” de Olearia ” because it was sorrounded by fertile olive trees. The last abbot died in 1509 after which it was abandoned. The abbey is composes of three overlapping chapels, where it’s possible to admire magnificent and important murals of Medieval era. 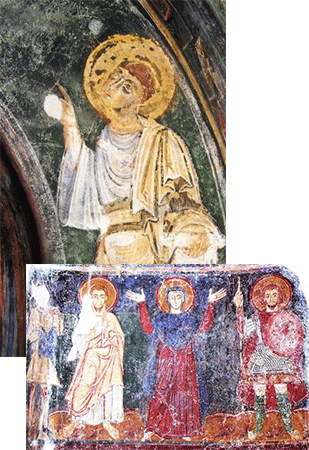 The abbey of St. Maria de Olearia was built with three different chapels one above the other dedicated to Holy Mary and Saint Nicholas, painted with fresco since X century. The eight cells preserve the ancient monastic style. 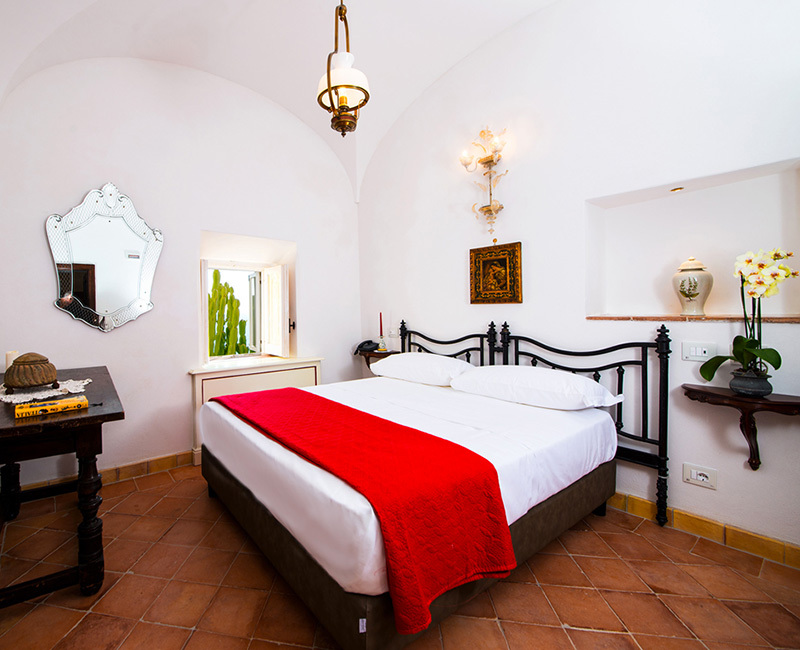 They are embellished with old furniture, original elements of décor and precious terracotta tiles. 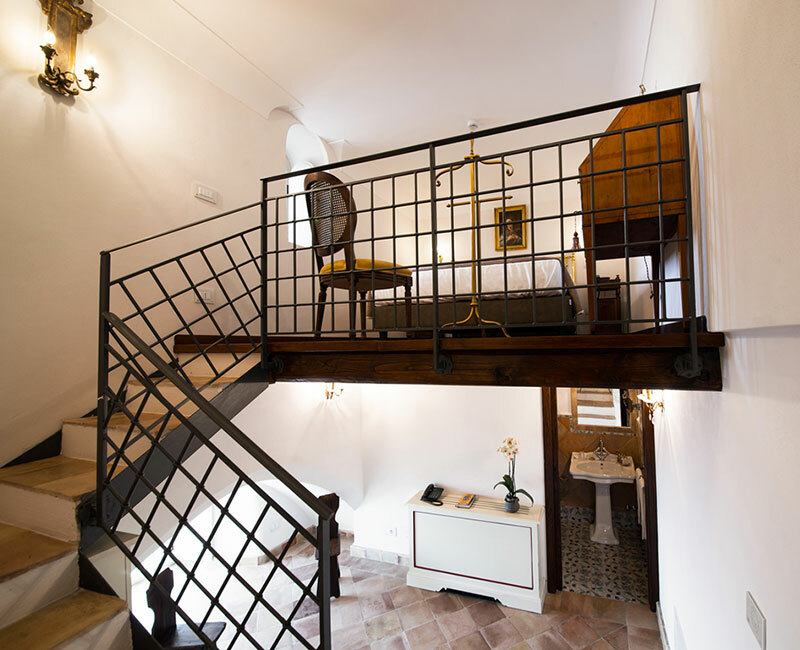 All cells offer the ultimate in luxury and are equipped with the latest comforts: air conditioning, heating, Italian and foreign TV channels, safe, minibar, Wi-Fi Internet access, H-pod system, flax linen, Occitane amenities, bathroom with shower. On each door is hand painted the name of monk that lived in it. Breakfast will be served under one of the natural rocky cave that surround the building.